You 2.0: Deep Work | Hidden Brain Every time you give in to the buzzing notifications of our phone or computer, you pay a price: little by little, you lose your ability to focus. SHANKAR VEDANTAM (HOST): This is HIDDEN BRAIN. I'm Shankar Vedantam. For many people, things slow down over the summer. Traffic's lighter. The days are longer. Some of us go on vacation. It's a chance to think about our lives and where we want to go, an opportunity to reinvent ourselves. It's with these goals in mind that we've decided to present to you a series of podcast episodes titled You 2.0. Over the next six weeks, we'll dig into ideas about how to respond with wisdom to the messiness and chaos of life. UNIDENTIFIED MAN #1: When everything is perfect, when everything is tidy, we're on autopilot. VEDANTAM: How to make better decisions. UNIDENTIFIED MAN #2: Almost any decision you're debating, large or small, many people have already made it. And they've made it both directions. VEDANTAM: And how to reinvent yourself when you're in a rut. UNIDENTIFIED MAN #3: None of us knows the future. We're making it up as we go along. So let's get really good at making it up as we go along. In fact, let's design it as we go along. VEDANTAM: We're starting the series with an exploration of how we work and how we can make work more satisfying. VEDANTAM: For many people, this is what work sounds like nowadays. VEDANTAM: A constant thrum of notifications, tweets and messages. We often can't resist these demands, but each time we give in to them by responding to an email or a text or Googling a question that's just popped into our head, we pay a small price. In the moment, this price seems imperceptible. But over time, it adds up. Most of us haven't come to terms with the cost of the constant distractions that pervade our lives. CAL NEWPORT (GEORGETOWN UNIVERSITY): We treat it, I think, in this more general sense of, I probably should be less distracted. And I think it's more urgent than people realize. VEDANTAM: Today on HIDDEN BRAIN, the challenge of cultivating deep attention and what we gain by immersing ourselves in meaningful work. VEDANTAM: Cal Newport is a computer science professor at Georgetown University. You might expect a professor of computer science to be tethered to his computer and all the latest devices. But that's not Cal. He's deliberately sought to break away from the distractions of modern technology, and he's trying to get the rest of us to follow his lead. Cal is the author of "Deep Work: Rules For Focused Success In A Distracted World." Cal, welcome to HIDDEN BRAIN. NEWPORT: Well, thanks for having me on. VEDANTAM: You talk in your book about several highly influential thinkers, people like the psychiatrist Carl Jung, the writers Mark Twain, J. K. Rowling. And you say they all have a set of habits that are quite striking in terms of how they're able to get great work done. NEWPORT: This was something I noticed was very common to influential thinkers, is that they all seem to have this drive to, on a regular basis, cut themselves off from their lives of busyness and communication and distraction and isolate themselves to think deeply. This drive to get away from noise and towards isolated solitary thinking is something that just comes up again and again when you study people who use their brain to produce influential or valuable output. VEDANTAM: What do they do specifically? NEWPORT: Well, what you'll notice is that they often will have a location, a separate location they go to when they want to think deeply that's often cut off from the rest of their life. So Carl Jung would go out to the Bollingen Tower, a stone house without electricity or running water he built by the lakeside outside of a small village in the countryside beyond Zurich. NEWPORT: ...And let him know that dinner was ready. They'd go somewhere physically isolated and different where they can, without distraction, think deeply. VEDANTAM: What does work look like for the rest of us? When you look at the average American worker, for example, are most of us doing this kind of deep, sustained work? NEWPORT: The type of deep work I talk about is almost nonexistent, as far as I can tell, in most knowledge work positions. Even when people think that they're single-tasking, they say, I've learned a lesson that I'm not supposed to multitask. I'm not supposed to be on the phone and do email while I write. I'm just working on one thing at a time. What they're still doing is every five or 10 minutes, a just-check. Let me just do a just-check to my inbox. Let me just do a just-check to my phone real quick and then back to my work. And it feels like single-tasking. It feels like you're predominantly working on one thing. But even those very brief checks, that switch your context even briefly, can have this massive negative impact on your cognitive performance. It's the switch itself that hurts, not how long you actually switch. So I actually think even very conscientious knowledge workers, who think they're pretty good at focusing on one thing at a time, are actually still working far from the sort of high-performance, deep work ideal. VEDANTAM: What is the evidence that the switching causes harm to the quality of your thinking? NEWPORT: Well, we've seen this show up in different types of scientific studies and from different types of perspectives. I think one angle that makes it pretty clear is the work that professor Sophie Leroy has done on an effect called attention residue. This is actually something that's pretty easy to isolate in the laboratory. You essentially give a subject something cognitively demanding to do that you can measure, like trying to solve hard puzzles. And then at some point, you distract them briefly as the experimenter, have them look at something else, change their context very briefly. When they then turn back to the original cognitively demanding task, you see their performance drops, and it drops for a while. It takes a while for this attention residue to clear out. And this is essentially what we're doing to ourselves when we do that quick glance at the inbox or to the phone. VEDANTAM: Do you think most of us are aware of the costs of distraction? NEWPORT: People I think intuit that they're too distracted, and it's making them feel fragmented and exhausted and anxious. But we treat it, I think, in this more general sense of, I probably should be less distracted. And I think it's more urgent than people realize, that if your brain is how you make a living, then you really have to worry about this cognitive fitness. I mean, how are you getting performance out of your brain? Are you taking care to get good performance out of your brain or not? And people would probably be surprised, the more they think about it, you know, how much they're leaving on the table by the way they're currently working right now. VEDANTAM: I understand that folks at Atlantic Media once tried to quantify the financial cost of email, the amount of time people spend reading and responding to email. NEWPORT: Yeah, it was the CTO of Atlantic Media at the time did this study, where they actually went through and calculated how many emails people were receiving, how long the average email was, what their average reading speed was, so he could contemplate or calculate how many hours were being spent collectively. Then he cross-tabulated that with their salary, which he could then calculate what's their effective hourly rate and figured out that basically, they were spending about the price of a Learjet every year paying people to send and receive emails. VEDANTAM: (Laughter). Well, most of us I think, when we think about email, we actually imagine that, you know, addressing, handling, responding to 25 emails, 30 emails, maybe a hundred emails every day, that's just part of our job. We actually think of it as actually being part of our productivity. You're making the argument that potentially, this is a cost that we're paying that actually impedes our productivity. NEWPORT: No one's ever made a fortune by being really good at sending and receiving emails. I think right now, we're in the early stages of digital knowledge work. We've adopted this workflow that's very convenient and very simple, which is let's just give an email address to every person and let work unfold in this sort of ad hoc, ongoing conversation that happens with this - messages going back and forth and back and forth. And it's very easy, and it's very convenient, but it's also drastically reducing the human brains that are the main resource of these organizations. So my way of thinking about this is that we've built up a culture of convenience and simplicity in knowledge work at the cost of effectiveness and true productivity. And this is something that we need to change. VEDANTAM: Does it matter that most of us are not trying to win a Nobel Prize or a, you know, a Pulitzer Prize, that we're not necessarily geniuses? Does it actually matter for most of us that we don't regularly put ourselves in a state of deep work? NEWPORT: Well, this is a big shift that I think has happened in our economy because it's an increasing portion of our economy that are essentially making a living by using their brain to process information and produce new information. And even if you're not trying to write great literature or solve a great theorem, if you're using your brain primarily to produce value, be it writing marketing copy or putting together a new plan for your business startup, these type of things matter. The human brain has become one of the main capital resources in our economy. It's what, in the knowledge economy, we spend most of our money on, is supporting human brains to process things and produce value. So we should care. I think the ability to do deep work would be relevant to the professional success of almost everyone in the knowledge work field, which is a huge part of our economy. VEDANTAM: I'd like to run a little thought experiment. Imagine we're following a doctor as she's making the rounds of a hospital. And she's looking at many patients, and she's evaluating different patients. And presumably, the patients all present with different problems and complications and so forth. And I think what we would expect is for this doctor to very quickly flit from one subject, one topic, one patient to the next, that if the doctor were to say, you know, I can only do my best work if I can focus on one patient, deeply understand that case, spend a lot of time with it, yes, that might be true. But it's going to come at a cost, which is all the other patients that the doctor is not going to see. What are the costs of deep work? NEWPORT: Well, where I'd want to get with the doctor is just the ability, even if you're relatively briefly staying with each patient, to actually be able to stay just with that patient. So a case study I uncovered when - actually after the book came out - was of two different groups at the same elite-level residency. And it was the same specialty, a high specialty. These were elite-level doctors. One group had a culture of email. So hey, I need something. Here's a question. What about this patient? And they're expected to constantly be available by email. The other group consolidated that type of administrative or logistical conversations to set meetings. OK, we have these rounds. We have these meetings. And what the doctor from that hospital told me is that they had a real hard time keeping people in that first group, where in the second group, people were much happier. So deep work doesn't necessarily mean I can sit, you know, half a day and just think about this one patient. But just the ability to walk into a room and just think about that patient and not have to see 16 emails as you walk into the next room and have that eating away at your attention, that can really make a big difference. VEDANTAM: You said that the people who were engaged in deep work ended up being happier. So it's not just a question of being more productive, but you're making the case that deep work produces a kind of intrinsic reward that doesn't come from being distracted. NEWPORT: It seems to. And in fact, this caught me off guard when I was researching my book. I ended up adding a chapter to the book, that was not in the original proposal, that was all about these findings I kept coming across and these stories I kept coming across about deep living also just being good living. People who spend a larger proportion of their professional time concentrating intensely on a single high-skill or high-craft target tend to enjoy their work a lot more. And there's a lot of different factors about why that might be true. But I, you know, ended by saying a deep life is a good life, and that's something I really believe in. It can take a knowledge work career and make it much more satisfying than being in a persistent state of putting out fires and busy distraction. VEDANTAM: Can you cite any professions where deep work is probably not called for and might even be a problem? NEWPORT: Sure. There's plenty of examples I think where deep work is probably not that relevant. A couple of the common examples I give is actually I think being a CEO, for example, of a large company. Deep work is probably not going to be a high return on your investment. If you're the CEO of a large company, you're probably going to better serve your company or your stockholders by being a decision engine for other people who are doing deep work, someone who people can come to. OK, what about this? What should we do here? You can be a consistent source of the vision and push these decisions in a consistent way. Another example is let's say you're in what they would call here in D.C. government relations, where really most of what you do is contacts and connections and connecting the right people to the right other people and keeping up with what's going on in people's lives. That's another example of a place where long, solitary concentration is not going to make a difference. I think there's plenty of jobs, in other words, in which deep work doesn't make a difference. But I've also found, in my experience, that the number of jobs for which this is true is smaller than people expect. VEDANTAM: You make the argument in the book that there are lots of blue-collar jobs, jobs where you're working with your hands, where deep work actually produces much better work and also produces much better engagement with the work. NEWPORT: Right. I think the connection between concentration and craft is actually clearer in a lot of these noncognitive fields. If you talk to a craftsman in a noncognitive field, they will tell you immediately, well, obviously, obviously, you need to focus intensely. Otherwise you're going to make a mistake. You're not going to produce the best quality work. You're going to get feedback immediately that you are less effective if you're more distracted. And a big part of the argument I'm making is that there's nothing different enough about a world that takes place on screens and powered by digital bits for this no longer to be true. So if you talk to true manual craftsmen, they already know the power of deep work. And so in some sense, we're just taking this message and bringing it up to speed for the 21st century. VEDANTAM: It seems to me there are connections here with ideas related to mindfulness or ideas related to flow, the idea that you should be in the moment, focused on what you are doing. It seems to me that those ideas are intimately connected with the idea of deep work. NEWPORT: They are connected. So deep work can induce flow states, which is one of the reasons why people find a career pushed more towards deep work is more satisfying. It's not entirely synonymous with flow. We know there's other types of states that also count as deep work that would not fall under most definitions of flow. So for example, being in a state of deliberate practice, where you're systematically pushing your skills past where you're comfortable so that you can improve, that's different than a flow state. It doesn't feel pleasurable. You don't lose yourself in the time. When you're practicing like that, you feel every single second because it's very difficult. But that's also falls under the umbrella of deep work. VEDANTAM: And what about mindfulness, the idea that really what we should be doing is to be able to immerse ourselves deeply in whatever it is that we're doing at that moment? So to go back to the example of the doctor, you know, when the doctor is seeing patient A, to be able to immerse herself fully in patient A and not be distracted by what's happening with patient B or by her email. NEWPORT: There are deep connections to mindfulness. And one of the more important connections is that we know from the study and practice of mindfulness, such as mindfulness meditation, that getting better at that type of presence is something that requires practice and training. And we see this exactly happening with deep work in a professional setting. It's something that you train and get better at, just like you can get better at certain types of meditation, that it's something you have to work at systematically. It's a skill to be practiced, not a habit that you already know how to do and just try to make more time for. VEDANTAM: Cal Newport is the author of the book "Deep Work: Rules For Focused Success In A Distracted World." When we come back, we'll talk about how you can retrain your mind to focus, to sit with a single idea for a long period of time. And we'll consider whether creating a deep work culture for some people means others will have to pick up the slack. Stay with us. VEDANTAM: Cal, you lead an enormously disciplined life with a lot of rules and rituals. Describe them to me. How do you structure your day to allow yourself plenty of time for deep work? NEWPORT: There's a few things I do. One is I've never had a social media account, and that's on purpose. It's not that I think I'm better than social media. But to quote George Packer's essay on this, it's because I'm afraid I'd let my kids go hungry if I exposed myself to that. So that's one thing I do. Two, I'm very organized with my time. I work during very set hours during the day, and I plan out the day like a chess player moving the pieces around. This is what I'm going to work on when. I don't let my mood dictate how my day unfolds. And then three, I've made myself very comfortable with annoying people. I'm bad at email. I have just set the expectations that I'm just not available a lot. I'm not someone that you can expect a quick answer from. And that also causes some trouble, of course. But all this adds up to allowing me to regularly have long portions of many of my days focused on deeper thinking. VEDANTAM: I understand you actually keep a tally of how much deep work you've done, how many hours you've spent being uninterrupted. And you actually have targets that you must meet at the end of the day or the end of the week. NEWPORT: Yeah, that's right. So deep work tally is a - it's a good strategy. This is something until recently I was doing. I was tallying, you know, how many deep work hours, so I had to confront that. I had to confront the reality. So if I was really avoiding deep work, I would see it. I've since added a new habit to my arsenal here, where I now block out my deep work on my calendar up to four weeks in advance so that that time is well-protected before people might start making requests for meetings or phone calls. I have that time protected so far out in the future that I can be sure it'll stay protected. So now I have a record on my calendar of exactly what deep work I'm doing. VEDANTAM: Do people call you obsessive or basically say, you know, you're wedded too much to your calendar? NEWPORT: People do. People also seem, which surprises me, worried that that would somehow diminish creativity, that somehow having structure in your schedule means you're not going to be able to do unstructured thinking. Well, what I've found is actually quite the opposite. Being able to protect my time and to have long periods of undistracted time allows me to be a lot more creative. So I often push back a bit on that particular critique, that if I was just sort of ad hoc checking emails and social media and in a state of semi-distraction all day, I would probably be much less creative than my more structured approach. VEDANTAM: I understand you have a fairly structured approach to shutting down at the end, of the day of making sure that the tasks that remain unfinished don't bleed into your evening and your family life. NEWPORT: I have an actual ritual I do at the end of each workday, where pretty systematically, I'll look at my weekly plan. I'll look at my task list. I'll look at my calendar, make sure that nothing is left hanging, and then I'll do a little shutdown mantra. You'll say an actual phrase that means I'm now done work for the day. VEDANTAM: What's the phrase that you tell yourself at the end of the day? NEWPORT: I used to be embarrassed to admit the phrase was schedule shutdown complete, but I now have this small but strong fan group that use that exact same phrase proudly. So now I'm willing to admit it's schedule shutdown complete. VEDANTAM: Do you say this with others around? NEWPORT: No (laughter). Yeah, I probably make sure I'm alone before I say it. It doesn't really matter what the phrase is. You know, I invented that phrase when I was a graduate student working on my dissertation and was really having a hard time with coming home from the office and having all these concerns. Hey, what if this proof never fixes? Or what if this proof breaks? What if I'm - my dissertation falls apart? And I needed something to allow me to definitively shut down. And so I was younger then. I came up with this phrase. But now it became habit, so I stuck with it. VEDANTAM: So what would you say to people, Cal, who would say, look, you're actually telling people to behave like a computer? You're asking people to behave like robots, to treat their own minds as if they were machines. NEWPORT: Well, see, I would argue that that's what people are doing right now. We've turned ourselves into sort of human network routers. We just sit here and process messages and sort through task lists and have this sense of busyness that treats our mind like a digital computer processor, something that you just feed instructions to and it executes one after another. I think what I'm doing is actually way more human - this idea that our brain is not like a computer. It's not like any other machine we know. It's something that you have a personal connection to. And it's something that you really have to take care of, something that you have to coax high performance out of. So to have a structured day, for example, to protect your mind from distraction, I actually think makes you more human and less robotic than what most people do, which is to sit there like a human network router and just sort of process messages and tasks all day like a blind computer processor. VEDANTAM: There seems to be a paradox here because I think what I'm hearing you say is that scheduling yourself, or even overscheduling yourself, is the way to actually gain control over your life. Whereas people would sort of say, if you're actually scheduling every second and sort of deciding four weeks ahead of time when you're going to stop work on a certain Wednesday, you've actually turned yourself into a robot. NEWPORT: Yeah, it's a very - it's a paradox that shows up a lot. It confuses people. But I think you're right to point it out - is that if you study, especially really creative people, professional creatives, they are surprisingly structured in how they approach their day. I took a quote, at one point, from David Brooks, the columnist, and I might be paraphrasing here. But basically, he pointed out this observation that great creative thinkers approach their time like accountants, that this is this great disconnect, is that they're very structured and systematic about their time and produce the most unstructured, brilliant, creative insights. So it's a key paradox to point out because I really want to emphasize it. Adding structure and control to your time really can be the key to getting the biggest insights and most interesting work produced. VEDANTAM: I'm wondering if part of the tension comes about because we actually think of inspiration as being the thing that strikes us unexpectedly. And I think the case that you're making is that inspiration actually can be scheduled to arrive on command. NEWPORT: Well, as, you know, Chuck Close said - the artist - inspiration is for amateurs. I think we overfocus on the inspiration piece. If you're systematically pushing yourself and your knowledge and your craft, you will have inspiration. It'll happen in the shower. It'll happen while you walk to work. What's important is, you know, setting yourself up to have that inspiration and then giving yourself the time and structure you need to act on it, to actually produce something of value out of it. So I downplay the importance of inspiration, and I emphasize the importance of creating a life or inspiration is possible, and you're well-suited to act on it. VEDANTAM: I want to ask you a couple of questions that push back against this idea from a practical standpoint. What if people are in workplaces where they have managers and bosses who aren't enlightened enough to say, yes, you should spend several hours engaged in deep work? People can't always choose for themselves what kind of work they pursue. NEWPORT: Something that has seemed to be effective is, in that type of situation, having a conversation with whoever your boss is, whoever supervises you, and say, I want to talk about deep work. Here's what deep work is. And I want to talk about, you know, nondeep work or shallow work, and here's what that is. And both are important to my job. And I want to have a conversation and decide, what should my ratio be? That is, in a typical work week, what ratio of my hours should be deep work versus shallow work and actually nailing down a number, an aspirational target, that everyone agrees, yeah, this is right for your position in our company. It's not saying hey, boss, stop emailing me so much; you annoy me. NEWPORT: It's instead saying, hey, let's try to optimize myself. So what should I be going for here? Let me get your feedback on this. And people are reporting back to me, you know, tales of drastic changes to work cultures that they thought, there's no way. There's no way I'm going to get away with this, that I'm supposed to be on Slack all the time, or I'm supposed to be answering my emails all the time. They have this conversation. In the next week, they're spending 50 percent of their hours undistracted. So I've been pushing that particular managerial hack as a good positive way forward to trying to fix some of these issues. VEDANTAM: I'm wondering if some people might say your advice is really advice for people who, in some ways, are at the top of their food chains. So if you have an author who basically is able to say, I'm going to disconnect from the world for 18 months - I'm just going to focus on writing this book - you know, someone else is probably picking up after this person in all kinds of different ways. If Cal Newport says, you know, I'm going to close the door in my office, I'm not going to answer my phone, I'm not going to check my email, but someone needs to get in touch with you in an emergency, that person is probably going to reach an assistant of yours. And that assistant doesn't have the same luxury of deep work as you do because he or she needs to be available to hear what the emergency is or to hear what the request is. Does having a group of people who are engaged in deep work necessarily mean there must be essentially a second-tier of workers who are engaged in shallow work to allow the deep thinkers to do their deep thinking? NEWPORT: It doesn't require that, but it usually requires some type of reconfiguration of communication channels and expectations. So when I work, for example, with people maybe in a small consultancy that is client-facing, where they're used to this idea that clients need to reach us, issues pop up, what's important there - just to use this as a case study - to enable more deep work, which, in the end, produces more value for everyone, is just to actually change the communication expectations. That maybe you, instead of having a client just have individual people's email addresses, the company sets up an email address for that client. And the company has set up some agreement on their end that there'll always be someone monitoring that, and here's the expectation of when you can get a response. Or maybe setting up a - it's sometimes called the bat phone or emergency phone idea, where you say, OK, here's a number you can call me at if there's an emergency when I'm in one of these deep work sessions. People set these up and say they get called maybe once a year. So I don't think you need actual extra people involved to make space for deep work. But I do think it almost always requires some effort, some sort of reconfiguration of people's expectations on how and when they can reach you. VEDANTAM: So I'm going to ask you a question now that's part serious and part teasing. You and I were scheduled to talk last week, and you didn't get the appointment down in your calendar, and I was sitting here waiting for you. And, of course, this kind of thing happens all the time. But in your case, I couldn't help but wonder, did he miss this because he actually hadn't spent the time doing the shallow work to get this in his calendar? And is it possible that when we engage in deep work, we are essentially, you know, getting the benefit of all of that deep work - we're getting the deep thinking. We're getting the accomplishments, but some of the cost is borne by other people, and they might actually be the people who are getting mad at you when they can't reach you? NEWPORT: Well, it's a good point. And I think that's actually - was what happened. Because I spend a lot of time working away from my computer, these type of problems happen to me more often. I think, you know, if I spent most of my time at my computer, then it'd be very easy to, of course - I'm going to put this on my calendar. Now, in this case - and, you know, I'm embarrassed it happened. But I - my vague memory was I saw this communication on my phone because I had to be on there to send something to someone, but I was far away from a computer. And so I wasn't able to easily add it to a calendar. I wasn't near a computer. And I was like, OK, I'll remember to do this when I get back to my office next, and I forgot. And it did cause problems. And I - so I'm embarrassed about it. And that type of thing does happen. And I think this hits on a big point, which is deep work, or a professional life focused on deep work, is less convenient for most people involved. But on the other hand, I want to put out there this notion that that might not be so bad, that it's possible that in this age of digital communication, we are focusing too much on convenience over effectiveness. VEDANTAM: I think, in some ways, what you're saying is also the tension between the short term and the long term. If I don't respond to a colleague's request or a manager's, you know, instructions to do something right away, it's irritating for the person at the other end of the line. And so I think most of us actually conform to the social norm of saying, yes, I'm just going to be responsive. I'm going to be available. I'm going to answer the question as soon as it's asked. The point that you're making, though, is that there might be long-term goals, deeper institutional goals, that are essentially - we're not thinking about. And, of course, when those goals are not met because they're not articulated, no one notices their absence. So people will notice it if you don't show up at an interview. People are not going to notice it if you don't write that best-seller or the next great idea. And so there's really a cultural bias in favor of the trivial over protecting what actually is most important. NEWPORT: I really agree with that point. And I would add to it that I think a big part of it is lack of metrics. So if we look at two parallel case studies, two different industries, let's look at the Industrial Revolution and the rise of mass industrial production. This was a world where the metrics for productivity were very clear. How many cars per hour is our factory producing? And what we saw in that world where bottom-line value was very easy to measure is that, very quickly, the structure of work moved away from what was convenient for the workers and towards what produced more value. It moved away from the old system in factories, where you had people work in teams at one spot in the floor to assemble the car, towards things like the assembly line, which are incredibly inconvenient. It's very hard to manage an assembly line. It's very hard to get it right. It causes lots of issues. It's annoying, but it produces a lot more value. You move to digital knowledge work. We don't have those metrics. It's much harder to measure, OK, what's the cost to our bottom line if you're more distracted or less distracted? And so my conjecture is that without those metrics, we are going to fall back on these interpersonal or cultural biases. We're wired to be social. We don't want to upset someone. These type of biases take over because it's much harder to measure, in this new world, the impact of different behaviors. VEDANTAM: I'm wondering if there's also a psychological explanation for the phenomenon you're describing. And what I mean by it is this. You know, I took a vacation a couple of weeks ago. And for the first time in a long time, I actually decided to unplug. So I didn't have Internet access. I wasn't checking my email. I literally was cut off from things going on at work. And when I got back, there were a number of things that had happened in my absence, some of which I wish I'd had the chance to weigh in on. But when I looked at the aggregate, the overall conclusion I got was really that the world did just fine in my absence. Things went fine. I actually wasn't as indispensible as I thought I was. I'm wondering if that might be a psychological driver in people being unwilling to actually cut themselves off - because not only might they discover that they are more productive, but they might also discover the world does just fine, thank you very much, without you. NEWPORT: You know, I think that's one of three big psychological drivers that have led us to this world we're in now with the sort of constant connectivity business. So that's certainly one, I think - this notion of - we get a sense a meaning and usefulness out of constantly being involved in interaction. I think the other two psychological drivers - one is just we're wired to be tribal. And it's very difficult for us, psychologically, to know there's an email waiting and that we're not answering. And even if we know for a fact that the person who sent that message does not need a fast response, it still feels like we're at the tribal fire. And there's a tribe member standing there tapping you on the shoulder, and you're ignoring them. We just have a very hard time with that. And I think the third driver is knowledge work is much less structured. And so how do you prove to your organization or to your boss that you're valuable? And busyness, as a proxy for productivity, is something that a lot of people have defaulted to. Well, at the very least, if you see I'm sending lots of messages, you know I'm working. And so I think those three different factors are all intertwining to get us to this place where we find ourselves just constantly sending messages as opposed to thinking hard thoughts or producing new things. VEDANTAM: Cal Newport is a computer science professor at Georgetown University. He's the author of "Deep Work: Rules For Focused Success In A Distracted World." Cal, thank you for joining me today on HIDDEN BRAIN. UNIDENTIFIED MAN #1: Very often, when things go wrong, we need to stop and say, well, what could come out of this? UNIDENTIFIED MAN #3: The unknown competitor that you haven't had a chance to think up yet is a vicious antagonist to your peace and happiness in life. VEDANTAM: ...And a scientifically proven technique to achieve your dreams. UNIDENTIFIED WOMAN: Positive fantasies and daydreams, as pleasurable they are, they have a problem when it comes to fulfilling our wishes and attaining our goal. VEDANTAM: To the extent you still plan to carve out time for shallow work, you can find us on Facebook, Twitter and Instagram. 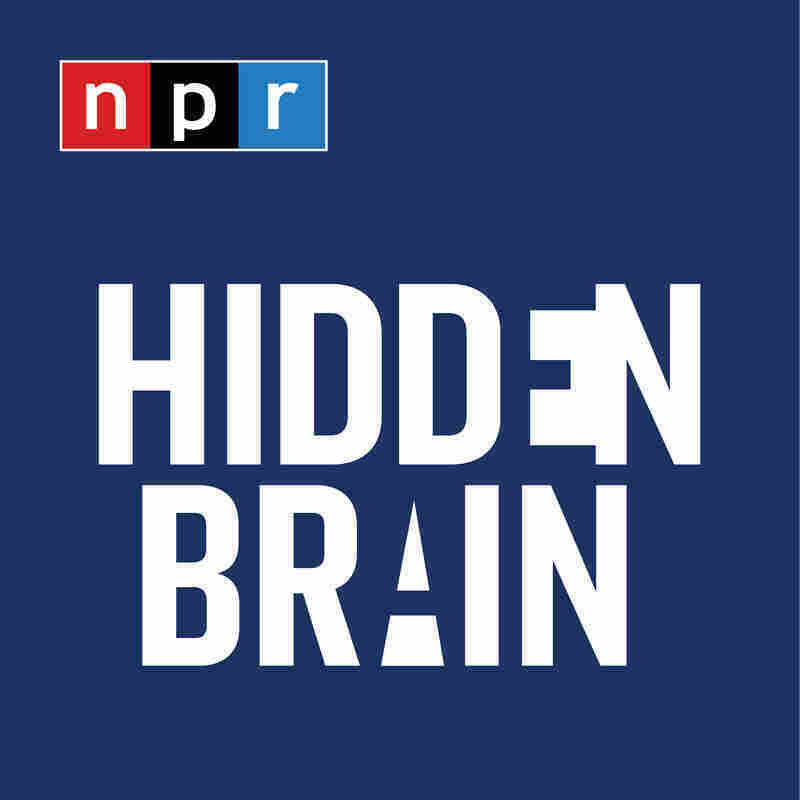 Please remember to tell one friend who doesn't know about HIDDEN BRAIN about our show and this summer series. I'm Shankar Vedantam, and this is NPR.